Sometimes leaders know they need to make a new beginning, either personally or for the organization, but they can’t figure out how to start. There may be many options, and sometimes these options are complete opposites. We’ve written several times before about managing polarities – the kind of decision making that needs to happen when there are two opposing options, both of which have positive benefits. A natural tendency is to look for some sort of compromise. But sometimes the compromise results in an outcome that doesn’t satisfy anyone. In their new book, Creating Great Choices: A Leader’s Guide to Integrative Thinking, Jennifer Riel and Roger Martin talk about ways to get out of the trap of either/or thinking and come up with new solutions. So what does that have to do with Legos? 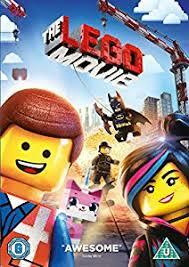 As Riel describes in this interview with Harvard Business Review, the executives at Lego had to make a difficult choice related to the movie. Should they hold on to creative control and protect the brand, or should they give creative control to skilled professionals who would create an exciting movie but might not serve the brand well? Is there an area where you are feeling stuck in either/or thinking? How can you look at the problem in new ways? This entry was posted in change and transition, decision making, higher education, Leadership, polarities and tagged decision-making, Leadership, polarities. Bookmark the permalink.